The Broadway star was involved in a horrific car accident. On Monday, March 5, 2018, Ruthie Ann Miles and her 4-year-old daughter, Abigail, were struck by a car in Brooklyn, N.Y., WNBC-TV New York reports. The accident occurred around 1 p.m. at the intersection of Ninth Street and Fifth Avenue when a driver ran a red light. Miles' friend, Lauren Lew, and Lew's 1-year-old son, Joshua, were also struck. Both Miles, who is pregnant (her unborn child was thankfully unharmed), and Lew are said to be in stable condition at the hospital. However, Abigail and Joshua were tragically pronounced dead at the scene. According to NY Daily News, the driver, a 44-year old woman, has reportedly claimed to have suffered a seizure when she lost control of her vehicle. In a statement to Entertainment Tonight, the NYPD said, "There are no arrests and the investigation remains ongoing." A GoFundMe page has since been set up for Miles, who is "on the road to physical recovery." At the time of this writing, the campaign's goal of $5,000 has been surpassed with over $207,973 donated. The Broadway community, including Lin-Manuel Miranda, Ben Platt, and Audra McDonald, has rallied around Miles and her family, offering their condolences and encouraging their social media followers to help in any way they can. "This incredible woman of unimaginable kindness and goodness and talent is going through the absolutely unthinkable," Platt tweeted. Meanwhile, Miranda wrote, "Heartsick for Ruthie and her family." He later shared a link to the GoFundMe page set up for Lew. 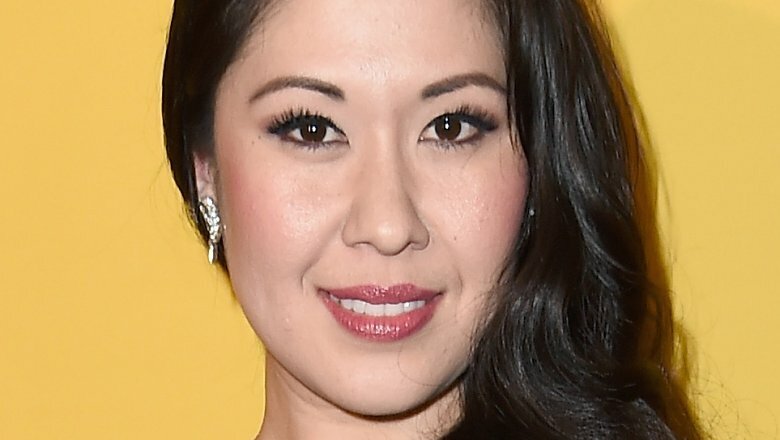 "This is in support of Lauren Lew and her family, who were also struck by yesterday's tragedy, along with @RuthieAnnMiles," the Hamilton star posted. "Unimaginable. Help if you can." "This is heart shattering," McDonald tweeted. "Please help if you can and if you can't please send love and hope and prayers their way. Ruthie, I am sending you all the love and light in my heart today sweet lady." Miles is best known for her performance as Lady Thiang in the 2015 Broadway revival of The King and I, for which she won the Tony Award for Best Featured Actress in a Musical. She is meant to reprise the role in London at the Palladium Theatre this June. "This is an unbelievably tragic and heart-breaking situation," the Trafalgar Entertainment Group, which is producing the production, released in a statement to ET. "Our focus and concern right now is for Ruthie and her family. Given our respect for Ruthie and her privacy, we won't be commenting further at this time."